Can PR And Automation Co-exist? 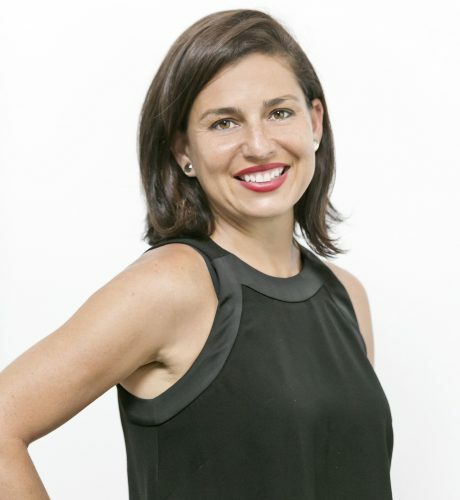 In this guest post, Sharon Zeev Poole (pictured below), director of Agent99 Public Relations, explores the impact of automation on PR and what it will mean for the industry’s future. In an ever-changing world full of algorithms, apps and programs, it can feel like most of what we do each day has become digitised in some way or another. Given the current landscape, it’s no wonder that people are beginning to question the stability of their job against potential automation threats – and the communications industry has certainly become a target. Many communication agencies – particularly larger firms – are using automated services as a way of freeing up resources. Most of what we understand as ‘paid media’ and some aspects of ‘owned media’ require repetitive tasks with minimal human contact. Some examples include social media scheduling and the early stages of creating media lists. As a result, automated solutions for mundane tasks are being readily used to take the pressure off consultants. Hootsuite is a fine example of automating social media management over a variety of different channels. It has been found that programs such as Hootsuite can ultimately increase productivity and enable people to think at a higher level. Moreover, whilst still niche, automated services such as ‘DIY’ PR platforms have increased in popularity due to their affordability and flexibility. Some services are specialising in PR packages that provide them with tips on managing their own campaigns, from drafting press releases to measuring campaign reach – particularly useful during the early stages of a start-up. Of course, at first glance it is understandable why these automated options have become so attractive. Whilst any method to ‘cheat’ your way out of the boring tasks could be useful to any increasingly busy work environment, at the heart of PR is communication between humans, and there are many aspects that a machine may not be able to fulfil. Firstly and most importantly, PR involves the building of relationships between businesses and clients, as well as their audiences. The decision-making process for clients is often based on the trust they build with their agency, which develops as a result of human interaction. A deeper relationship produces even better strategies, as all partners are able to voice their ideas. Collaboration is key. Creating a multi-faceted PR campaign requires cognition – something which only humans have. This is particularly evident in strategy planning. In order to formulate a successful plan, you need to firstly understand and tailor it to your target audience, and secondly, be prepared for crisis management – both of which seem unlikely at this stage for robots to manage. Beyond this, creativity is essential in achieving results-driven and innovative campaigns, which we strive to achieve daily. Moreover, the art of storytelling and pitching isn’t something that could be easily mastered by an algorithm or program, as each one is altered to the needs of the client and the outlet being targeted. A lot of what makes this function what it is comes down to persuasion and persistence. Editors and publishers are much less inclined to respond to an unsolicited email that has been fabricated by an amateur or a bot. Whilst we have a tendency to focus on the apparent struggles automation has led to in the workplace, we often forget just how much easier such technological advancements has made our jobs. Due to these new developments, daily tasks such as measuring and monitoring campaign results can be easily completed through automated services. Similarly, connecting and maintaining relationships with digital influencers has never been as simple as it is now. These fairly simple tasks were highly challenging pre-automation, as the sheer volume of information we can now access at the click of a button was non-existent. Evidently, more tasks are being fulfilled as a result of utilising new technology, which only stands to benefit the client as a result. Ultimately, there is no denying that automated services, particularly for administration work that are tedious and repetitive, may be deemed as a better alternative to shorten timeframes and cut costs. So, in saying that, there is most definitely space in PR for ongoing automation. However, as it is undeniably communication-driven, through relationships and human connections at its heart, this will unlikely alter due to the inclusion of machines in the workplace. These traditional practices will always be important, and by incorporating technology, more resource can be put behind the clever and human creative and strategic aspects of the industry. Those in the field should not worry, but be very open to embracing the advancements of automation as it leads to a more reinvented form of communications.